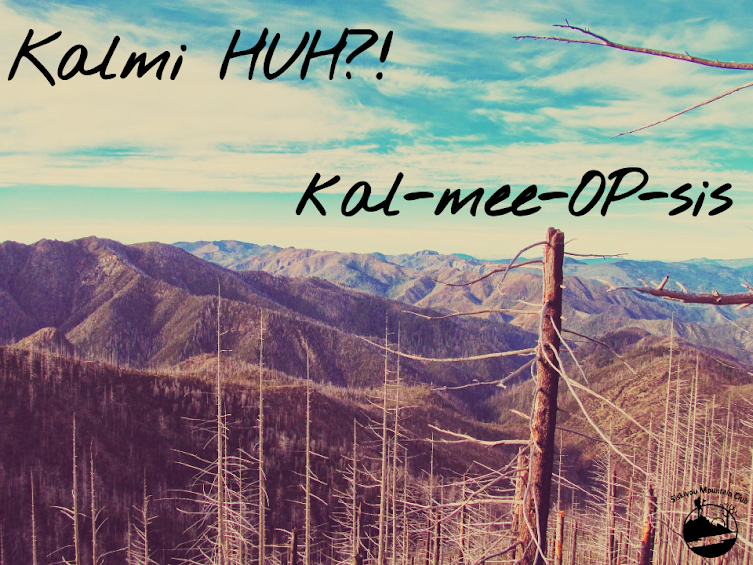 13 April 2015 | Gold Basin Butte, OR — Kalmiopsis (pronounced kal-mee-op-sis) is a 180,000-acre federal wilderness area nestled in the far southwest reach of Oregon. It was designated in the original 1964 Wilderness Act, expanded in 1978, and not since. The area received its first protections in 1947 when the Craggies area was designated a “wild area” by the Forest Service. But where did that strange word come from? To find out, we have to turn back the clock to June 14, 1930. That’s the day Lilla and John Leach stumbled upon the first sighting of a new plant at Gold Basin. It looked like a miniature rhododendron. “I had never seen anything so beautiful,” Lilla wrote in her journal. That special little plant, which grows nowhere outside of the 180,000-acre Wilderness, was eventually named Kalmiopsis leachiana, from which the wilderness took its name. It’s the only federal wilderness to be named after a flower. The word “Kalmiopsis” derives from Greek. Opsis is a combining form meaning “likeness” or “similar to.” Lilla’s special find looks strikingly similar to the plant Kalmia. The word “leachiana” derives from latin. Ana denotes things associated with a person or place. That person is Lilla Leach.